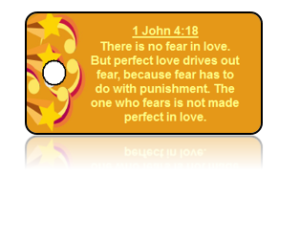 James 1:22 Bible Scripture Key Tags | Share-IT! | Many Designs! 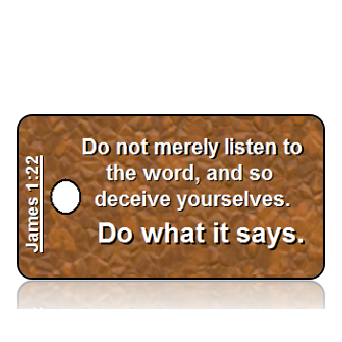 James 1:22 Bible Scripture Key Tags (NIV) – Do not merely listen to the word, and so deceive yourselves. Do what it says. 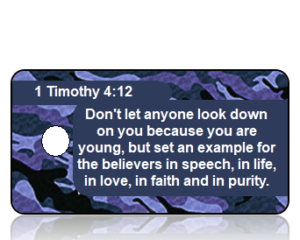 James 1:22 Bible Scripture Key Tags (NIV) are a great way to SHARE God’s Word with children. Great for Vacation Bible School (VBS), to help kids memorize Bible Scripture. In addition, you can add a personalized message to the back of the Tags, which adds a special touch. Request the same design printed on both sides is also an option. Spread God’s Word by sharing His message with our James 1:22 Bible Scripture Key Tags (NIV). If you do not like this design background there are many more options for you. Switch the background design by choosing from our wide selection. Change the translation for example KJV, ASV, NIV, etc. Change the language for example Spanish, French, German, etc. Finally, a great tool to memorize Scripture and keep it close to heart. Share-IT! Tag customers want to share their favorite bible scripture verse. Customize your words of encouragement, inspiration and memories easily express your specific message. Use our Create Design option. Choose from a designed backgrounds, add your message, as a result deliver that special message you need! Our hope is James 1:22 Bible Scripture Key Tags (NIV) are a blessing to you and to others. 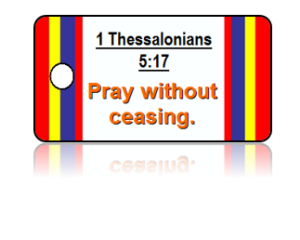 1 Thessalonians 5:17 (ESV) - Pray without ceasing. 1 John 4:18 (NIV) - There is no fear in love. But perfect love drives out fear, because fear has to do with punishment. The one who fears is not made perfect in love. 1 Timothy 4:12 (NIV) - Don’t let anyone look down on you because you are young, but set an example for the believers in speech, in conduct, in love, in faith and in purity. 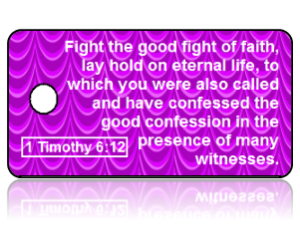 1 Timothy 6:12 (ESV) - Fight the good fight of the faith. Take hold of the eternal life to which you were called and about which you made the good confession in the presence of many witnesses.